Home sweet home – online soup always reminds me of my childhood. Though my mom isn’t french and never cooked an onion soup in her life. 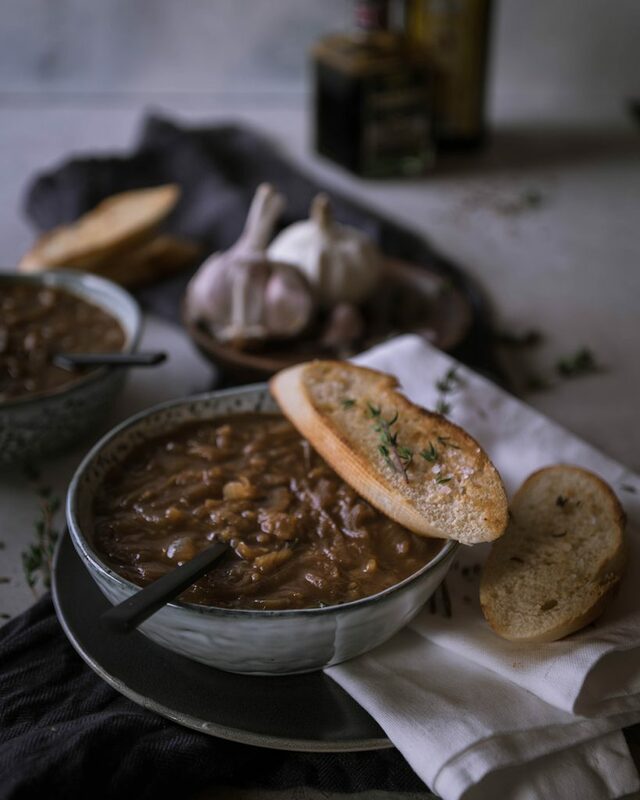 But growing up in France you could find an onion soup in every decent restaurant in town. perfect for the cold season. 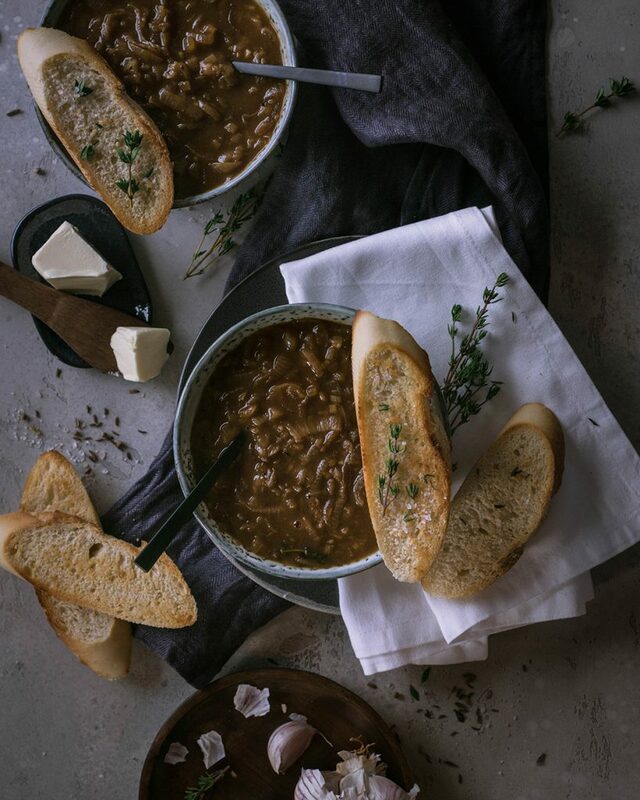 Onion soup is so easy to make, savory and you definitely don’t need any beef broth to get that characteristic taste. It all comes down to the right techniques, that’s why this soup roasts for over 30 minutes, before getting cooles. Strong flavors, savory wintertime here we go! Cut the onions into fine rings and brown in the pan with Margarine and oil at medium heat. Season well. Dice the garlic and add it along with the sugar to caramelize. The onions will brown slowly. When after 30 minutes or so everything has taken a caramel color add the flour. Deglaze with the vegetable broth, vinegar and soy sauce. Season to taste. Cut the Baguette in small slices and brown in the pan with some Margarine and salt. Serve the soup with the crispy bread and enjoy.